Do the hair gel and wax cause the hair to fall out? > Blog hair-care >Do hair gel and wax cause hair loss? we tend to forget how the cold weather can affect our hair and we continue to follow the same hair care routine. In this article, we describe the system that is based on the Ludwig scale to classify female pattern hair loss. This article describes the system based on the Hamilton-Norwood scale to classify male-pattern hair loss. Treatment for thin and weak hair. In this article you will find some suggestions to strengthen thin and weak hair. Do hair gel and wax cause hair loss? This recurring question that many men frequently ask isn’t an easy one to answer. It depends on many factors, such as, the amount used, how frequently it is used, the quality of the product, etc. What is true is that this type of product does not keep the hair healthy. However, if used appropriately and combined with other products that stimulate healthy growth, it is unlikely that they will cause your hair to fall out. How does hair gel and wax affect the hair? Gel, for instance, is normally packaged in a tub or spray can. To preserve the formula and avoid any bacterial growth, a high percentage of alcohol is used. This concentration of alcohol is not good for either the hair or scalp because alcohol is known to dehydrate and irritate the skin and makes the hair dry and dull. 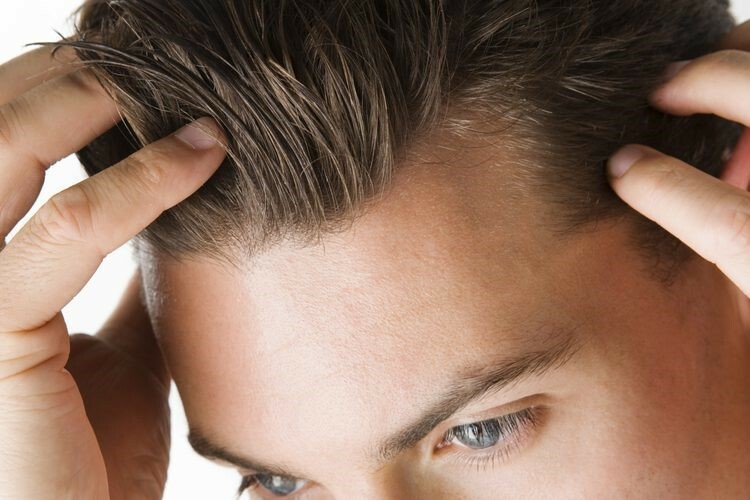 If contact is prolonged, it may also lead to flaky skin on the scalp. However, recent developments and ongoing innovations in the formulations of these products allow for these alcoholic concentrations to be reduced to a minimum to prevent all of this damage. In fact, it has been demonstrated that the extreme density of the gel, together with its characteristic viscosity, causes it to adhere to the scalp and prevent it from breathing. If the scalp doesn't breathe, it can constrict the hair follicles, causing them to disappear and thus resulting in hair loss. On the other hand, unlike other hair products such as gel, wax is a soft and malleable substance that, if applied correctly, fixes the hair in place naturally whilst allowing it to move. Although hair wax can be a more expensive beauty product than other products intended for the same purpose, it is also less harmful due to its composition: it is usually formulated using natural ingredients. Also, being totally anhydrous, it doesn’t require any preserving agents, like alcohol, in order to protect the formula. Thus, if you’re trying to decide between gel or wax for day-to-day use, we recommend using wax as, although its results are not so long-lasting as hair gel, the latter ends up damaging the scalp and generating other hair problems, such as dryness or dandruff, among others. If you’re going to use hair gel or wax, save larger amounts for the hairstyles you want to fix and don’t use the same gel for fixing a hair quiff, which requires a certain amount to hold its shape, as for keeping the rest of the hair in place; for large hair surfaces, try not to saturate all of the hair as far as the roots, and instead apply it only on the tips. As for the method for applying it to your hair, it is best to rub the gel between the palms of your hands, and never apply it directly without doing this first. In the case of wax, given its immediate effect, use your fingers to apply it and only use the necessary amount. Although the healthiest and most natural way is to air dry your hair and try not to fix it using chemical products, if you need to style your hair there are alternatives to gel and wax that are less aggressive to the scalp. There are various alcohol-free hair waxes and gels on the market that will have a much lesser impact on your hair. Even so, overuse of these products can speed up the alopecia process and therefore you are advised to only use them on the tips of the hair, without touching the root at any time, thus preventing direct contact with the scalp. Also, it’s very important to wash your hair correctly at the end of the day to remove all possible residues. Although use of a hairdryer can also induce hair loss due to the direct application of heat onto the scalp, it is still the least aggressive way of styling your hair, especially if it is on a cold or low heat setting. If you’re not going to stop using hair fixing products, despite knowing the consequences they can have for your hair, we recommend you at least try to care for it alongside their use. 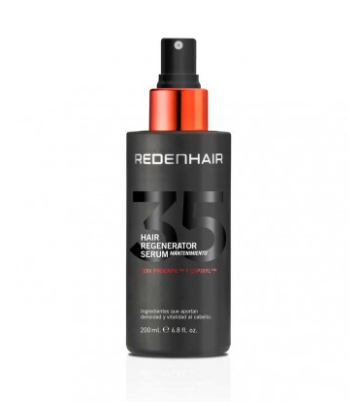 The best option is HAIR REGENERATOR SERUM MAINTENANCE by REDENHAIR. 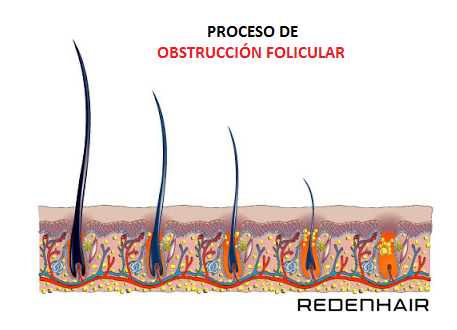 It is a hair regenerator designed to maintain the volume, reduce loss and stimulate the constant growth of your hair. Due to the damaging effects that fixing products like hair gel or wax can cause to the scalp, this completely natural product, with the most innovative active ingredients currently on the market, is the best solution for protecting the hair fibre, smoothing the cuticles and preventing the deterioration of keratin. This product also contains copper tripeptide, the latest-generation regenerative active ingredient that boosts the hair's structural resistance and increases the proliferation of follicular cells. Don't wait any longer and take action against the harmful effects of fixing products now! Achieve your ideal hairstyle in the most natural and convenient possible way, without damaging your hair. And remember… every month we have prize draws and exclusive deals on our social media! Follow us on Instagram or Facebook and take advantage of our deals.